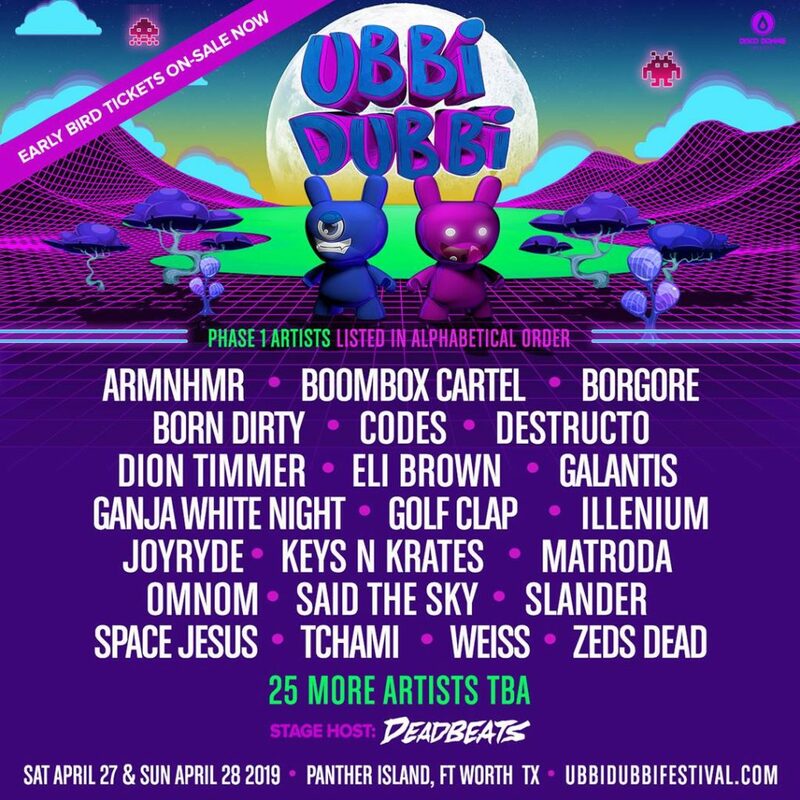 Disco Donnie Presents has announced the debut of Ubbi Dubbi Festival, set for April 27 and 28 at Panther Island in Fort Worth, Tex. The initial artist lineup includes Boombox Cartel, Borgore, Destructo, Galantis, Ganja White Night, Golf Clap, Illenium, Keys N Krates, Slander, Space Jesus, Tchami, Zeds Dead, and more (see graphic below). 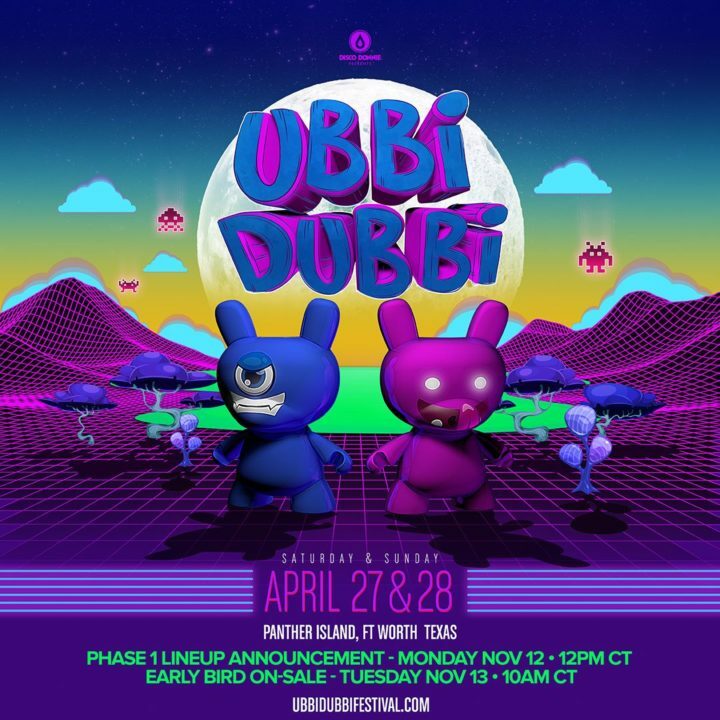 Early-bird Ubbi Dubbi Festival tickets are on sale now, priced at $119.95 for two-day general admission passes and $199.95 for VIP passes.